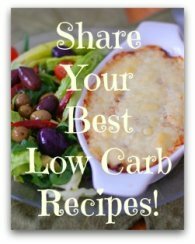 Simple bacon beef cabbage pie for a hearty, ketogenic meal. 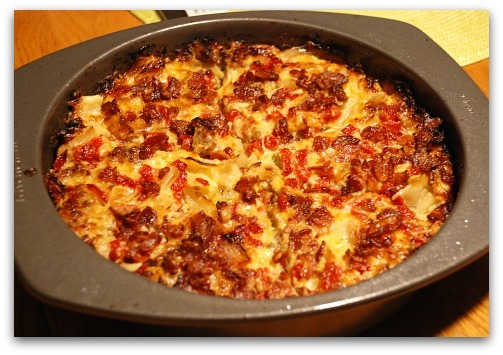 This bacon beef cabbage pie recipe came out of a need to use up a part cabbage and some leftover roasted bell peppers. 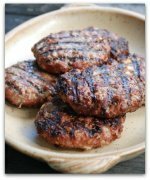 And if you have a pound of ground beef in your freezer, there's not much you can't create with just a few ingredients. My test lab Guinea pigs were my dear hubby and 92-year old Mother-in-Law. Fingers crossed and hoped for the best. As it turned out all of us opened our eyes real wide when we took our first bite... and the next... and the next. 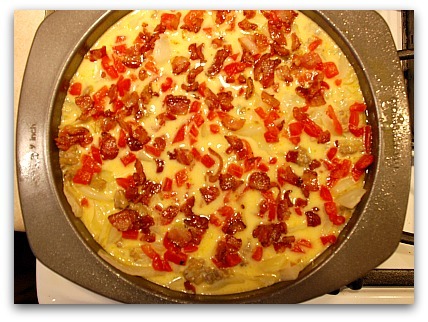 The macros for this recipe make it ketogenic, so enjoy! 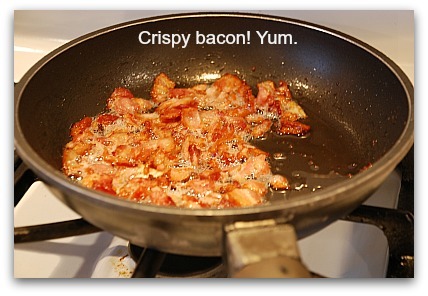 In a large non-stick fry pan, cook the bacon until crispy. Move bacon to paper towel to drain. Reserve two tablespoons of bacon grease. Add the ground beef to the bacon grease, breaking up any large clumps. 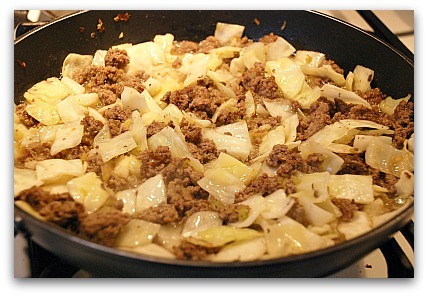 Stir in the celery and shallot and brown the meat evenly, stirring from time to time. 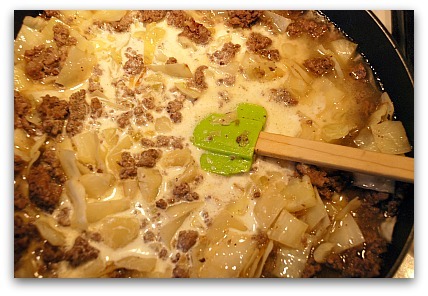 Add the cabbage and 1/2 cup of water. Cook uncovered until the cabbage wilts and all the water has evaporated, about 12-15 minutes. Add the cream and the broth. Add the garlic powder. 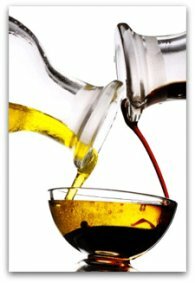 Increase heat to high and boil until the liquid has reduced by about half, about 10 minutes. 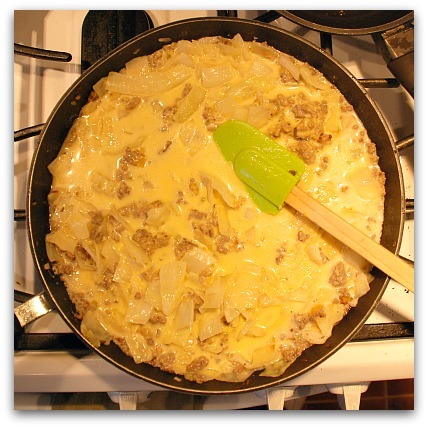 Add the cheese a little at a time, stirring well to evenly distribute it. Add the beaten eggs next, again stirring well. At this point feel free to add salt and pepper to your taste. Top evenly with roasted bell peppers and crispy bacon. Place on middle rack in oven for 25 minutes. If needed, increase heat to 375F for another 12 minutes until nicely browned on top and around the edges. Cut into 6 even wedges and serve. Hubby had a second helping. 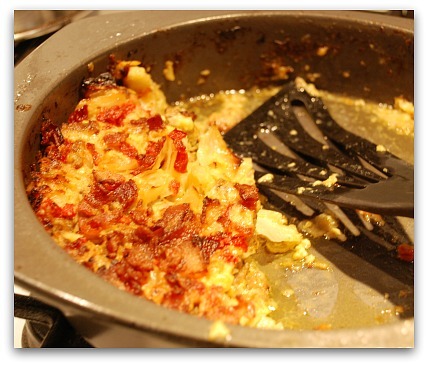 OK, let's go from this Bacon Beef Cabbage Pie to the Home page.